And that Kindle offer I was talking about is still on. And chef.This is his story.We meet Jean-Marie d’Aumout as a penniless orphan eating beetles by the side of a road. His fate is changed after an unlikely encounter finds him patronage and he is sent to military academy. Despite his frugal roots, and thanks to wit and courage in great measure, he grows up to become a diplomat and spy.Rising through the ranks of eighteenth-century French society, he feasts with lords, ladies and eventually kings, at the Palace of Versailles itself.Passion, political intrigue and international adventure abound in Jean-Marie’s life, yet his drive stems from a single obsession: the pursuit of the perfect taste. Three-Snake Bouillabaisse, Pickled Wolf’s Heart and Flamingo Tongue are just some of the delicacies he devours on his journey toward the ultimate feast.But beyond the palace walls, revolution is in the air and the country is clamouring with hunger of a different kind. The Last Banquet is set in 18th century France and I could really feel it. It doesn’t matter if it is young-boy-dung-heap France, or adventure-seeking-young-man-in-woods France, or middle-aged-man-at-fetid-Versailles France. Mr. Grimwood was able to create them all for me. And then he added food. Surprisingly, the descriptions of the tastes are often rather simple but there is something else that helps to whet the reader’s appetite. First, there are detailed recipes and if you read those, you’ll get hungry for sure. And second, Jean-Marie loves food and therefore, he thinks a lot about it. These two points, mixed with the descriptions of tastes make a fabulous banquet! The main character, Jean-Marie Charles d’Aumout is very likeable. He narrates his story and I never felt like I didn’t want to follow him anymore. He does things that some readers will find hard to understand but he does them because he thinks them right. And I think they mostly are. The other characters were also interesting. There are far too many to talk about each of them in detail. I liked that Mr. Grimwood let his characters change in the course of the book. If you think about the huge time span the Banquet covers (almost a life time), this is only natural and it makes the book so much more dynamic. 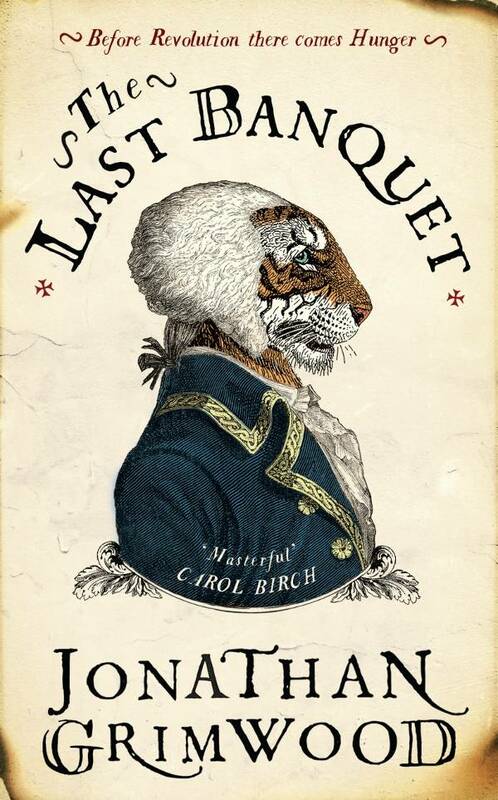 The Last Banquet is not your usual story of a French aristocrat growing up and growing old in the 18th century. It is the story of a man and his love of food. I really enjoyed how Mr. Grimwood made Jean-Marie discover new tastes in the strangest places. This sometimes made me laugh out loud. Jean-Marie’s life never gets boring, he talks and writes to interesting people, to the outside world, he leads the life of a noble, he hunts, has friends over, gets into dangerous situations, and there are women of course,… (I really can’t tell you more). I enjoyed reading The Last Banquet and accompanying Jean-Marie Charles d’Aumout on his search for the perfect taste.